The Galapagos is a truly special place. Unlike the rest of the world's archipelagos, it still has 95 percent of its pre-human quota of species. 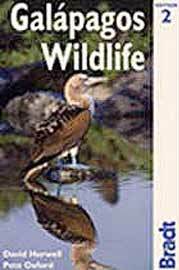 Wildlife of the Galapagos is the most superbly illustrated identification guide ever to the natural splendor of these incomparable islands; islands which today are threatened by alien species and diseases that have diminished but not destroyed what so enchanted Darwin on his arrival there. Ecuador has everything that travelers come to South America for: beaches, mountains, cloud forests, meandering jungle rivers and charming colonial cities. It also has something you won't find anywhere else: the otherworldly Galapagos Islands. VIVA's Quito-based team will point you in all the right directions. 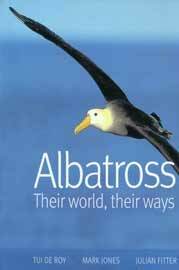 The albatross is a creature of legend, of poetry and of dreams. It is the ultimate nomad, whose sailplane wings - the longest of any living bird - harness the shrieking winds of the southern ocean as it glides around the globe. This master of wind and wave is also the subject of intense scientific scrutiny and fascinating revelations. A Traveler's Guide to the Galapagos Islands presents the essentials of a "how-to" travel adventure to the Land of Darwin. From the basics of which airlines to choose to a detailed analysis of the Tour Operator network, Barry Boyce describes the inside scoop and shares important information about Galapagos travel. 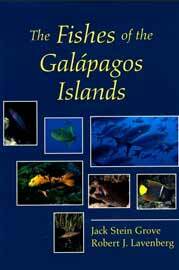 This is the first comprehensive guide to the unique wildlife of the Galapagos, encompassing the birds, mammals, and reptiles a visitor to these extraordinary islands might encounter. The innovative, simple-to-use format of this pocket-sized volume will help beginners and experts alike to correctly identify the striking and charismatic Galapagos fauna. 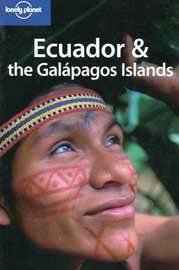 Naturalists Grant and Estes are longtime researchers and residents of the Galapagos. They bring their intimate knowledge of the islands to this account of Darwin's adventures, enabling them to identify sites Darwin visited that were previously questioned or misidentified. Grant and Estes describe in detail the islands' geographic and volcanic features as well as their unique species of wildlife, during Darwin's time and today. Travelers to Ecuador want to experience tropical forests and other stunning habitats and catch glimpses of exotic wildlife: toucans and parrots, monkeys and anteaters, frogs and toads, crocodiles and snakes. On the Galapagos Islands, curious visitors want to see with their own eyes the exotic, unique, tame wildlife that stimulated Charles Darwin to create the theory of evolution. A much welcome field guide to 436 species of flowering plants, featuring McCullen's own color photographs, an overview of ecology and habitats, and an extremely useful botanical checklist by visitor site. 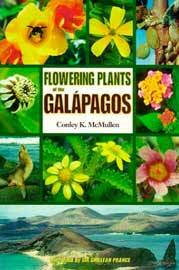 While not nearly as celebrated as Darwin's finches or the sea-going iguana, the divergence of plants such as the endemic prickly pear cactus or Scalesia (an endemic genus in the daisy family with 15 species) in Galapagos are spectacular to see and learn about from this informative book. In 1831, Charles Darwin embarked on an expedition that, in his own words, determined his whole career. The Voyage of the Beagle chronicles his five-year journey around the world and especially the coastal waters of South America as a naturalist on the H.M.S. Beagle. While traveling through these unexplored countries, he collected useful specimens for his master work, The Origin of Species. 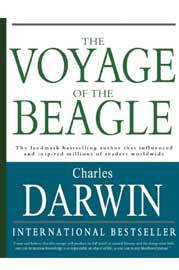 This thorough and interesting book is the product of Charles Darwin's amazing journey aboard the Beagle where he made observations that led to his revolutionary theory of natural selection. The wildlife paradise of the Galapagos Islands, long regarded as a mysterious and desolate spot, is a showcase of evolution in action. A spawning ground for Charles Darwin's famous theory, the islands have become a National Park dedicated to the conservation of many unique species threatened with extinction. The Galapagos Islands, Ecuador's remote archipelago, are world renowned for adrenaline-charged diving and unique, fearless wildlife. These "Enchanted Islands" attract both experienced divers and non-divers from around the globe who come to dive with whale sharks and walk with giant tortoises. 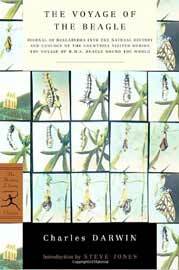 This book includes all the information you'll need to visit this remote "ecological research lab". 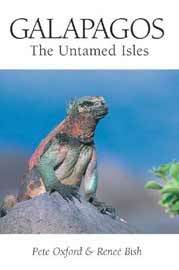 he book is about the human history of the enchanted islands of the Galapagos. 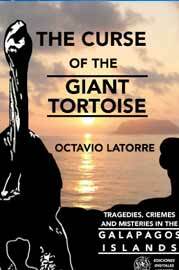 It is a valuable piece of research and at the same time a fascinating encounter with the old mysterious world of the Galapagos. Rosemary and Peter Grant and those assisting them have spent twenty years on Daphne Major, an island in the Galapagos, studying natural selection. They are able to recognize each individual bird on the island, and have observed about twenty generations of finches continuously. 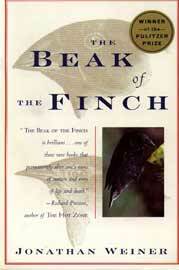 Weiner follows these scientists as they watch Darwin's finches and come up with a new understanding of life itself. The diversity, quantity and vitality of the marine life in the seas that surround the Galapagos archipelago is every bit as dramatic as the exotic wildlife above! Completely updated with many new photos added, Reef Fish Identification is a much improved identification book for one of the world's natural underwater wonders. 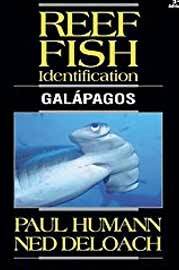 If you are thinking of diving in the Galapagos, this beautiful, comprehensive fish identification guide is a must. 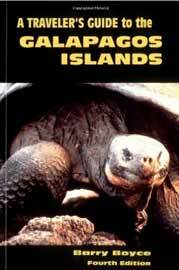 For those planning a trip to the Galapagos Islands, looking for reminders of past trips, or dreaming of going, this is the book for you. It manages a good balance of dive site specifics with topside attractions, all with excellent photos. While everyone has heard of the Galapagos Islands, there is a lot to consider if you are planning to go, and it is not easy to pull together all of the information. Seasoned travelers Julian Smith and Jean Brown lead travelers to unique, off-the-beaten-path adventures in Ecuador, from riding the train through the steep switchbacks of the famous Nariz del Diablo (Devil's Nose) to enjoying some of the world's best diving in the Galapagos Islands. Subtitled "A Diver's Guide to the Fishes, Whales, Dolphins and Other Marine Animals," this compact Odyssey Guide features 288 color photographs of fish and invertebrates, maps, plans and dive information. Most of the book is devoted to color plates (grouped in sections) and one-paragraph, shorthand descriptions with identification information, behavior and range. The Galapagos Islands--the basis of Charles Darwin's theory of evolution--are the home of giant tortoises, for which the islands are named. Scientists recognize 14 different types of tortoises, 9 of which evolved in isolation on separate islands in the archipelago. 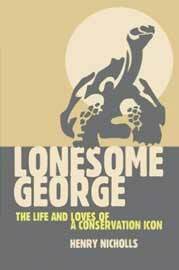 The tortoises of the most northerly island, Pinta, were supposed to have been extinct since 1906, but in 1971 a single, lone tortoise was discovered: Lonesome George. This group of volcanic islands lying along the equator in the Pacific Ocean are famous for their rare species of fauna and flora. Steward first describes the geological journey that explains each island's lifespan from volcanic birth to death and burial. 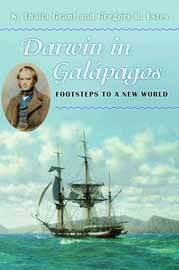 Then he narrates what is labeled "the human history of the Galapagos" and explains how Charles Darwin revealed the islands as a land of riches and triggered a revolution of scientific thought. 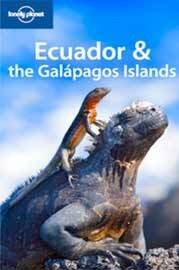 The Galapagos form Ecuador's best-known national park, and this is a comprehensive guide to the wildlife of the islands. 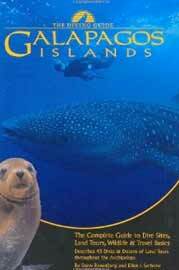 A geological, climatic, and historical introduction to the islands is followed by coverage of the islands' unique plants, invertebrates, reptiles, birds such as the Flightless Cormorant, mammals, and underwater creatures. 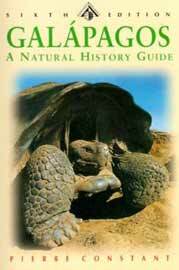 It is an overall guide to the wildlife found in the Galapagos. Pete Oxford and Renee Bish spent a decade capturing original and exceptional images of one of the world's most remarkable places--and the result is this collection of once-in-a-lifetime shots. The two photographers have fashioned an unashamed celebration of the everyday life in the Galapagos that truly captures its essence and spirit. Every picture will leave readers awestruck and delighted. In words and pictures, Tui De Roy, a magazine writer and one of the world's leading wildlife photographers, introduces readers to the islands that were her home for 35 years. Brought to the Galapagos at the age of two by her Belgian parents, De Roy grew up amongst the giant tortoises, the iguanas, the sea lions and birds that are unique to the islands. This comprehensive overview of the habitats, plants, birds, and animals of the islands, written with the curious visitor in mind, is practically mandatory reading. It's the single best overview of the archipelago. 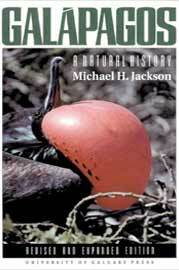 Jackson also includes a useful bibliography, wildlife checklists and a list of plants by vegetation zone. Illustrated with many charts and maps, the book is an excellent reference. 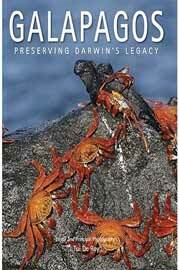 This gorgeous large-format book is a celebration of the 50th anniversary of the founding of the Charles Darwin Foundation on Galapagos. 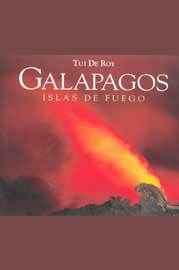 The book comprises a series of essays under the editorship of world-renowned photographer and long-term Galapagos resident, Tui de Roy, who has also provided most of the photographs. 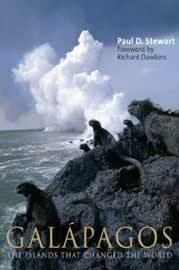 The essays cover the entire spectrum of Galapagos wildlife. 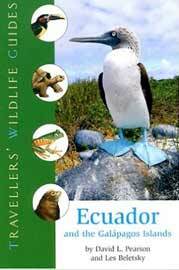 In this 8th edition, published in 2009, the team at Lonely Planet offers you yet another travel guide jam-packed with information about amazing Ecuador: The book covers all of the diverse zones of this small country, from the Galapagos Islands, where sea lions await to play tag, to the highest snow capped volcanoes and everything in between! There are full colour and adventure travel sections, as well as useful information on eco-friendly choices and accommodation suggestions. 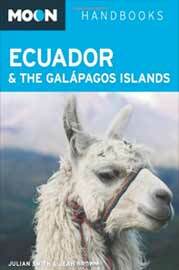 The award winning photographic team of Pete Oxford and Renee Bish has compiled a hard cover book which takes the reader on a fascinating tour through Ecuador. 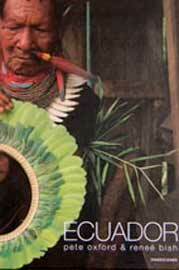 Filled with stunning photos from their travels and time spent in Ecuador, this book offers spectacular images that capture the beauty and reality of Ecuador. Cristobal Corral and Pocho Alvarez collaborated on this photo journey through Ecuador, and show us a side of this small country that few have visited or even know about. 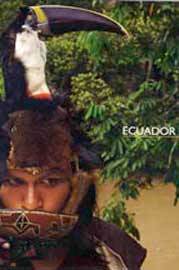 With sensitivity in the text that describes each photo, this author/photographer team has managed to share their respect and knowledge about the diverse cultures in Ecuador while taking a closer look at the nature, threats, and people that make up this amazing country. 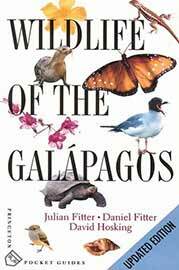 This book, geared towards "pre-tweens", is compiled of gorgeous realistic paintings of the Galapagos Animals that make the archipelago so famous and intriguing for the young, and the old! 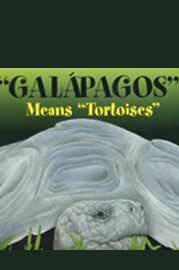 Written in rhyme, "Galapagos Means Tortoises" helps bring Galapagos wonders like Blue Footed boobies, marine iguanas, and giant tortoises to life for all those who read it. 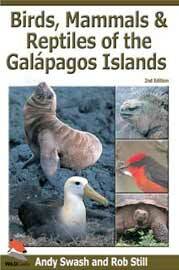 A great addition to scholastic units on Galapagos or just "out of the ordinary" animals! 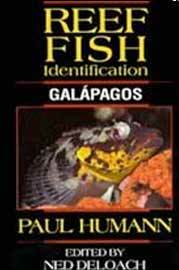 A thorough and extensive book outlining the amazing fishes of the Galapagos. It is a complete guide with color photos and drawings, as well as black and white illustrations. 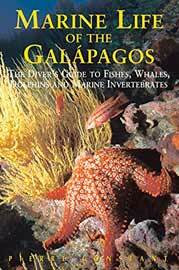 This comprehensive guide book allows easy identification of the spectacular life forms that live below the surface in the wondrous waters of the Galapagos Islands, 1500 kms off the coast of Ecuador. Another handy guide from the team at Lonely Planet. 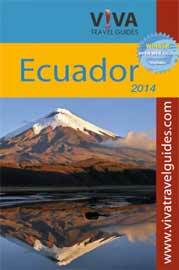 This travel guide outlines all the wonderful places to visit in Ecuador: what to do and see when you get there, and even how to get from A to Z. Concrete information, maps, and full color sections cover everything from accommodation to culture, and sustainable travel options.